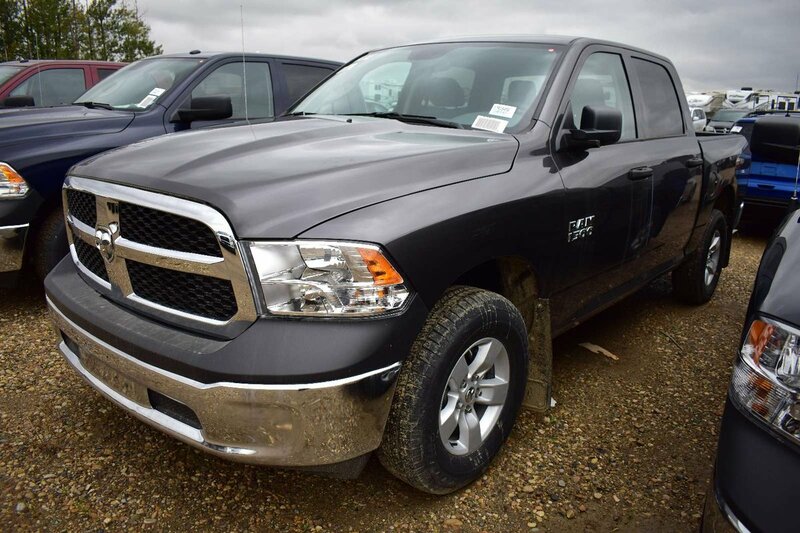 Dominate the road in our 2017 RAM 1500 ST Crew Cab 4x4 brought to you in Maximum Steel Metallic Clear Coat. This truck embodies hard work and smart design with a 3.6 Liter V6 and durable 8 Speed Automatic transmission. Our Four Wheel Drive serves up a comfortable ride with plenty of power for all of your needs while getting you near 13.0 L/100 km on the highway. Our ST looks great inside and out! Check out the black door handles, tinted windows, a locking tailgate, and prominent wheels! The interior was built to be a haven of comfort, yet it's incredibly durable and built to last. Enjoy air conditioning, cup holders, cruise control, and an impressive audio system with auxiliary input. Once inside, you will see it checks off all of the boxes on your list, and then some!